This Travel Musings blog started as an experiment. 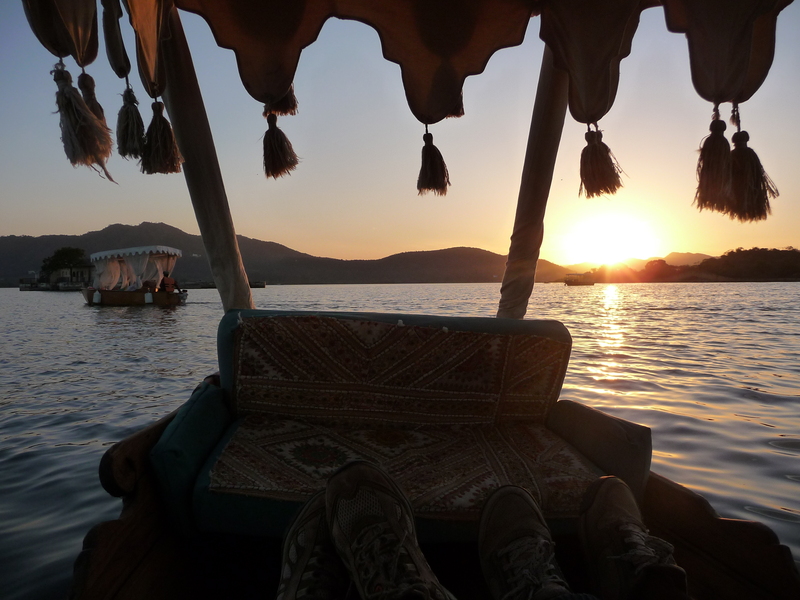 I had finished the first draft of my manuscript about travelling the Silk Road but wanted to keep writing. So on a cold, dark Saturday afternoon in Calgary last November my writing group friend, and master of blogging, Leanne Shirtliffe, www.ironicmom.com,and I had coffee at the Good Earth Café where she helped me set up a web log on WordPress. Without thinking, I was suddenly launched into the whole wide world. The www. It’s more fascinating and fun than the tech-less me could have dreamed. Every morning I click on to my WordPress stats and there you are on the map. You have viewed Travel Musings 1,450 times, from thirty-one different countries and you keep me thinking/wondering about who you are and where you living. You also keep me writing. 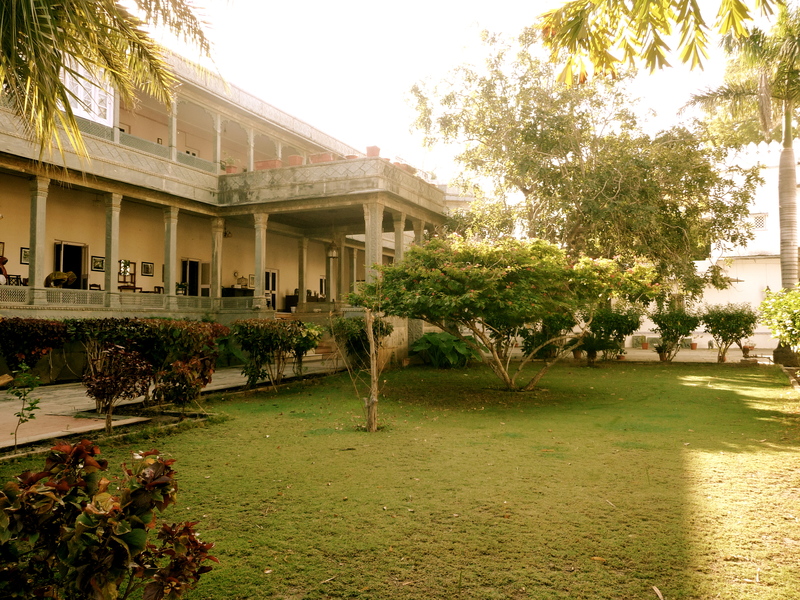 Now it’s time for me to move from India Travel Musings to musing about places closer to my home. As one French writer said, travel is not the search for new sights but for a new way of seeing everything, old sights included. With this is mind as I visit new and old sights in Canada and the USA during the next three months, I’ll post a vignette every couple of weeks. So stay with me. 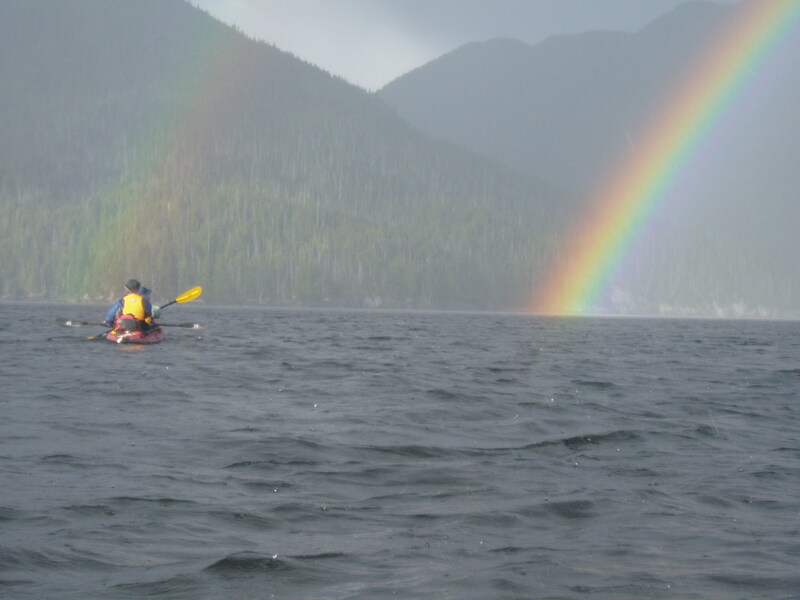 Perhaps you’d like to share your experiences about seeing a familiar sight close to your home. Do you recognize the places in these pictures? I love reading your comments and emails. And I love to look at my WordPress world map every morning. 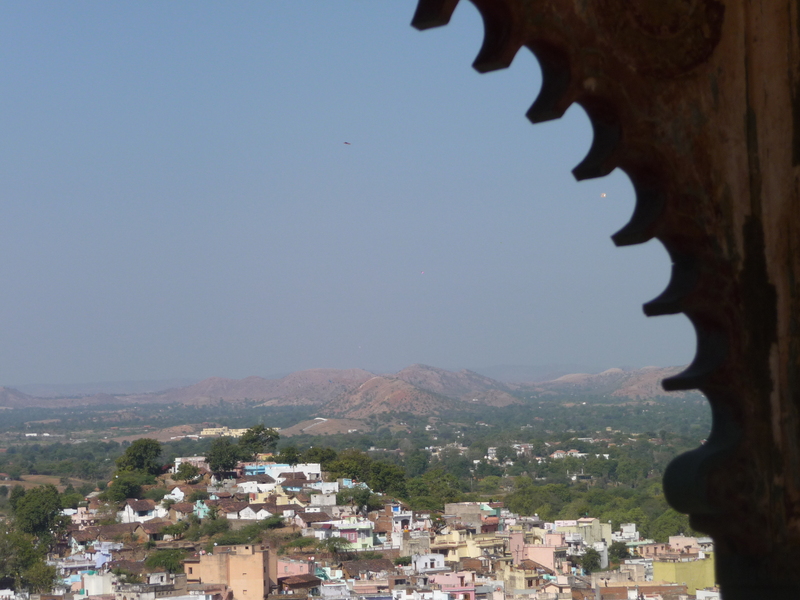 This story sums up my experiences in Incredible India even though I wrote it over a year ago. The message is to stop your busy day, and just take five ( for me, take five minutes). It’s a wonderful world. “And the third?” I ask. I quickly decide to save myself from the terror of driving in India by looking only out side windows and only when necessary. The car brakes and swerves around elephants and camels with wide loads of wood and rebar strapped on their backs. We honk at India’s holy cows lying not-quite-on the median of the new four-lane highway, but in the shade of beautiful bougainvillea landscaping. 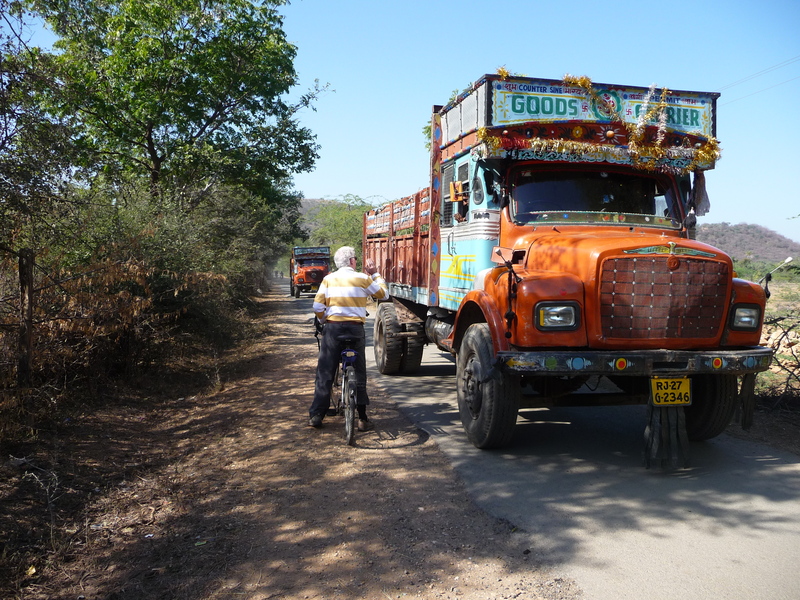 Through the Aravalli Mountains, we twist and blast our way around blind corners. I note that Hindu temples are strategically situated and they prompt me to squeeze my eyes shut and ask the powers that be for a long life. 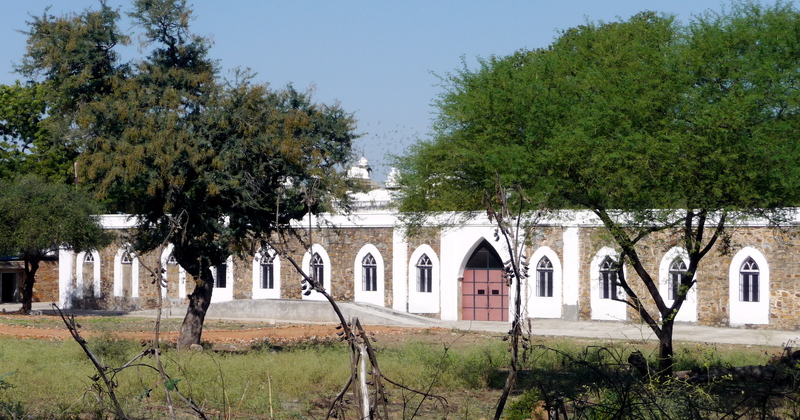 In due course, we swing south off the highway and careen along a gravel road surrounded by forest reserve owned by the Maharaja of Dungarpur. Twenty minutes later we veer off through a gap in the trees and come to a dusty stop in front of the royal residence that will also be our hotel for a few days. Our driver phoned a few minutes ago and the Maharaja’s nephew is waiting for us. 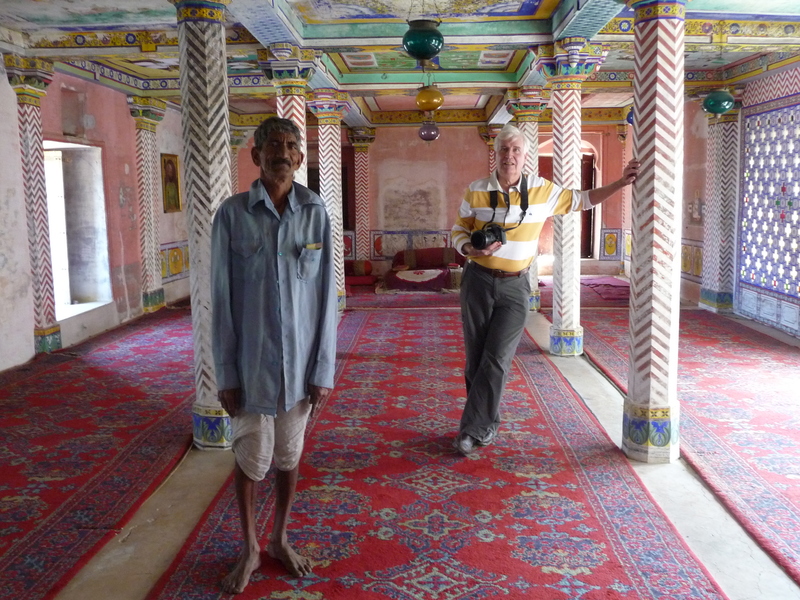 After a few quick namaste’s and welcomes, his assistant, the hotel manager, leads us toward our room. “This is the office,” he says, as we pass beneath the stuffed heads of four of tigers, six wild boars, several deer and one sloth bear. “We have wireless in this room and at the pool,” he adds. We walk into the adjacent palace courtyard and around an exquisitely carved temple surrounded by water, to one more interior courtyard. In the middle is an enormous white marble dining table set for thirty people. 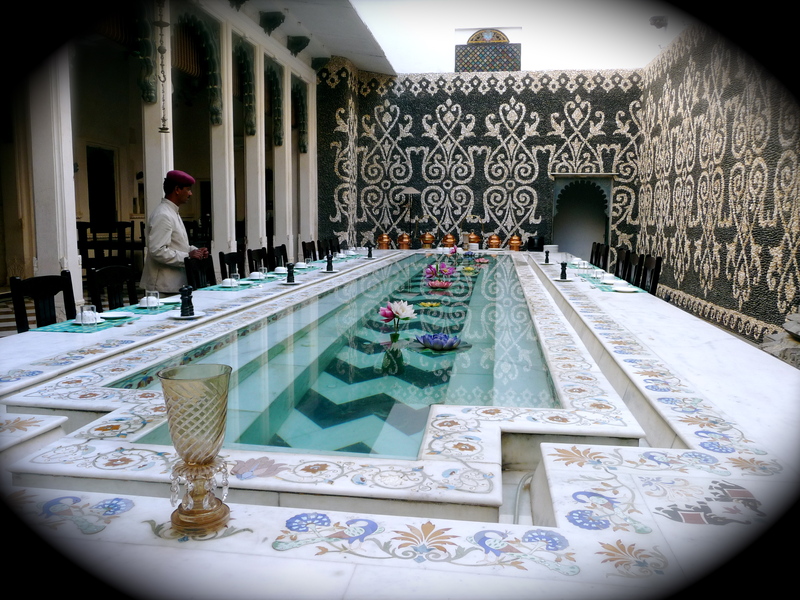 Carved into the centre of the table is a long rectangular pool filled with lotus flowers and goldfish. “This is where you will eat breakfast and dinner,” the manager tells us. There are surprises everywhere, giving me that being surreal-world feeling again. The Maharaja shot ninety-nine tigers in his day and they are all here, almost hidden, their heads staked high on the walls. The family now pride themselves on being conservationists. A team of young museum curators are in the ballroom with ancient royal clothing organised on the floor ready to catalogue for a family museum. At the door there is a fleet of mountain bikes ready for guests to ride around the estate’s vast nature reserve. The tigers are gone but I’ve been told there are a few deer, fox, and wild boar bounding about. A curtained archway behind an immense locked wooden door leads into a gigantic room. Ours. For us, filled with an eclectic assortment of memorabilia from the sixties, it has the stamp of home. 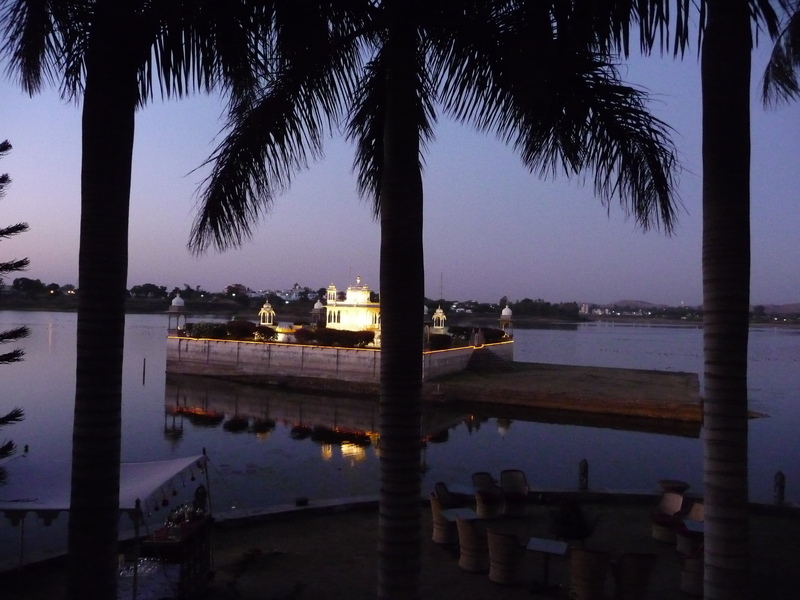 A low arch leads to a marble balcony overlooking Lake Galbsagar and its finely crafted temple island. This is my place. My armchair is waiting. Lake Galbsagar is a mirror; the sound of swarming water birds – herons, storks, cranes, egrets, ducks – fills the still late afternoon air. My Maharaja, Ross, scouts out his battered blue metal water bottle and pours for us. India’s favourite Scotch Whiskey. Black Dog. “Yoohoo. Hello there. 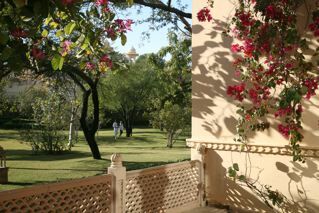 Be sure to come for before-dinner-cocktails with us at 7 o’clock,” Maharaja’s niece-in-law calls up to us as she walks along the lakeside path below and waves. The royal family’s friendliness is infectious and we are eager to join them. Sober or not. Later, with difficulty we work our way through the dark, back under the stuffed heads, the dim eco lamps, and down the stairs to the big dining room. Candles fill the courtyard but no one is here. A young man with a tall white chef’s hat peers around a partition at the back. “No. No. It’s not here. Follow.” He leads us through a giant doorway into a damp muddy field. The night is black even though the stars are out and the moon is full behind the trees. Something alive scuttles across in front of me. I stifle a scream; it’s a chicken. I scramble through what appears to be a vegetable garden with my fancy new, but cruelly uncomfortable sandals. I struggle to keep my culturally appropriate Rajasthan Bandhani, a colourful tie-dye sarong, wrapped around me as I trudge through the “we water at night,” save-the-environment mud. In the distance I see a dim light shining from another one of those low-watt eco bulbs hanging on the end wall of a long shed which Ross says is the old stable. I’m still struggling to keep my clothes wrapped while choking back laughter at the ridiculous situation I find myself in. Why didn’t I wear jeans? The noise, it sounds like snare drums, intensifies as we get closer to the shed. The door opens. Louis Armstrong’s gravely voice resonates through the old stable, “It’s A Wonderful World.” The Maharaja’s family is beaming with delight. I recognize the manager, even though he’s wearing a tux now. Where are we? I’m confused. Then I realize this is a surprise the Maharaja has for us. It is his new museum and it is filled with his old, shiny, like-new antique cars, elegantly spot lit. The family walks with us between rows of vintage cars and at the end we enter a glass room and sit at a sixties style bar. Surreptitiously, our favourite jazz pulsates through the old stable. The crack of snare drums, the tingle of cymbals vibrating, the soft rhythmic strike of piano and the silk smooth saxophone playing the melody in “Take Five” brings a flood of memories. Stop your busy day and come out to see that I’m alive. This music we listened to often in 1965, as we dreamed of travel, was composed by Paul Desmond a few years earlier while he was touring with the Dave Brubeck jazz quartet along segments of the Silk Road in Turkey, India, Pakistan and Afghanistan. “Take Five” was inspired by the melody nomads played one day while walking by the open door flap of his tent. After the group finished their tour, Dave Brubeck and his wife wrote lyrics for the music. “Why do you go? Why do you go back?” people ask me. Because I can’t close my story. Just stop your busy day and take five. 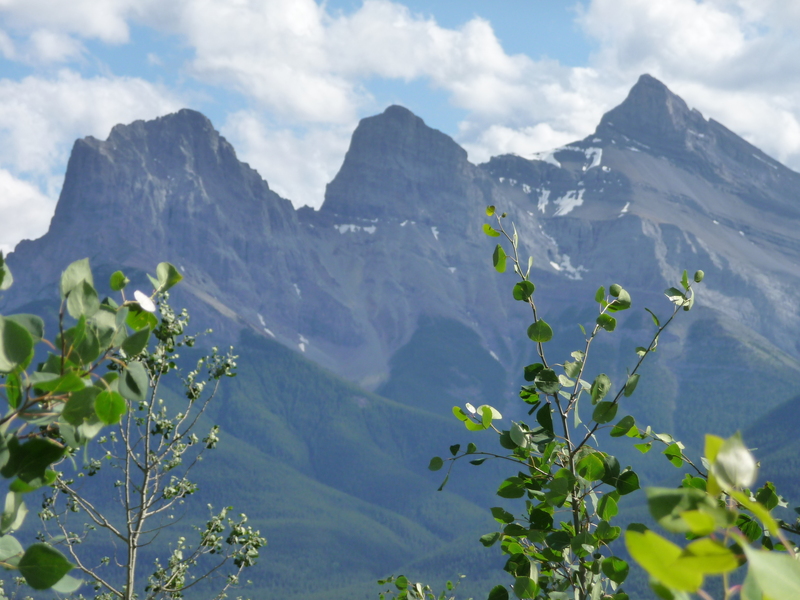 Next Post: Where Travel Musings has taken me. What’s next? This is an excerpt from my recently completed manuscript, a memoir about travels along the Silk Road during the past forty-five years. For as long as I can remember I’ve travelled India, although vicariously, through books. Marco Polo might be my muse. When my own story about the Silk Road began almost half a century ago now, Ross and I had to change our plans to work and travel in India because of a war. When we finally got there for the first time, in 1994, I was involved with UNICEF and went on a tour to learn about children’s health and education. This time I’m going to India to rest and to try and fuse the information I’ve gathered over the years so I can find a way to close my story. By the time Marco began his return voyage to Venice more than two decades after he set out, he was a different person. He’d had twenty-four years’ experience visiting places in the Far East and when he journeyed around the coast of India aboard a merchant ship on his way home he was more open to diversity, able to relax and admire what he saw. His stories paint a rich picture, drawing his readers’ attention to India’s geography and natural phenomena. “Everything is so different,” he writes over and over. He describes peculiar animals, birds, flora, food and drink. He’s fascinated by the variety of people, their languages and customs, local arts and crafts. He tells the reader of an India so vast and complicated, it would take him another year to recount all the stories. I’m in awe of Marco. Like him, I’ve changed over the years. Travel is finding news ways of seeing everything. A yoga practice might be a good starting point; after all, yoga originated in India long before Marco came. Millions of people who live here now practice it and it fits with my travel focus of fusing information. In this case the body, the mind and the spirit. My private yoga practice will be in the old former hunting lodge, somewhat off-putting for me – it’s different from the sparking new yoga studio I go to at home, with forty other participants crammed in together. My thoughts are mixed; I begin to wonder why I want to do this. But here I am. In Rajasthan. 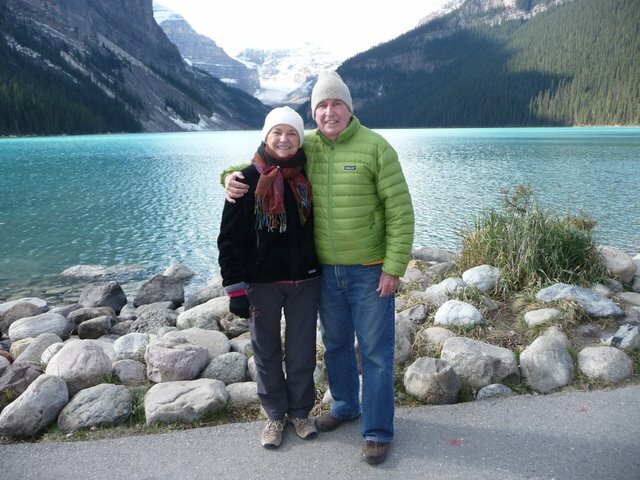 In my expedition-weight long underwear (damn, why did I leave my yoga gear in Calgary?) waiting for the yoga lesson and my introduction to India. Kumar, impeccably dressed in pressed white cotton yoga pyjamas is expressionless. 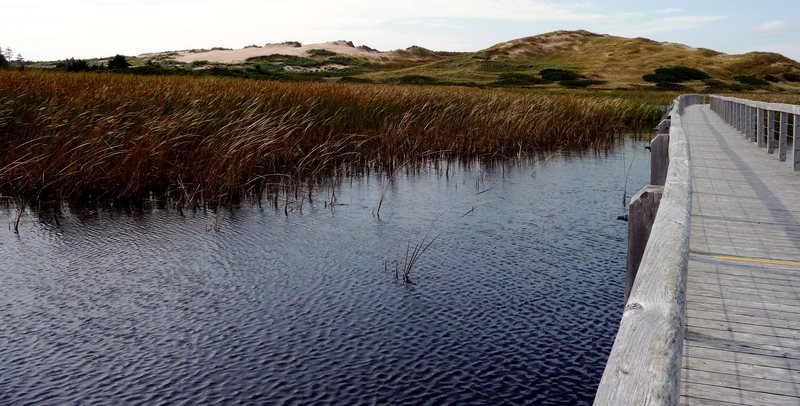 “Come,” he says, leading the way across a park alongside the environmental reserve to the lodge. And the yoga mats. I stumble along behind, uttering a few Canadian pleasantries to try and take the edge off and perhaps eke a smile out of his poker face, but he is steadfast. This tall man with a perfect, straight spine, neatly cropped black hair and tidy moustache is dedicated and wants me to take his instruction seriously. Somehow my long underwear gives me a comfy-homey feeling that overpowers the discomfort I feel when I’m totally out of place. 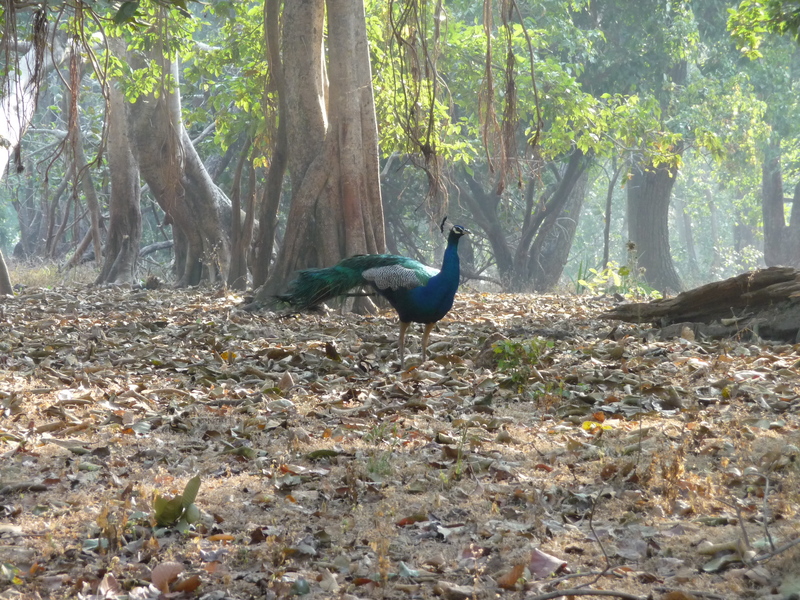 The peacocks and peahens on the path scuttle away screaming their sympathy “Help. Help.” Are they crying that they’re here in this quiet natural setting to help me feel safe? 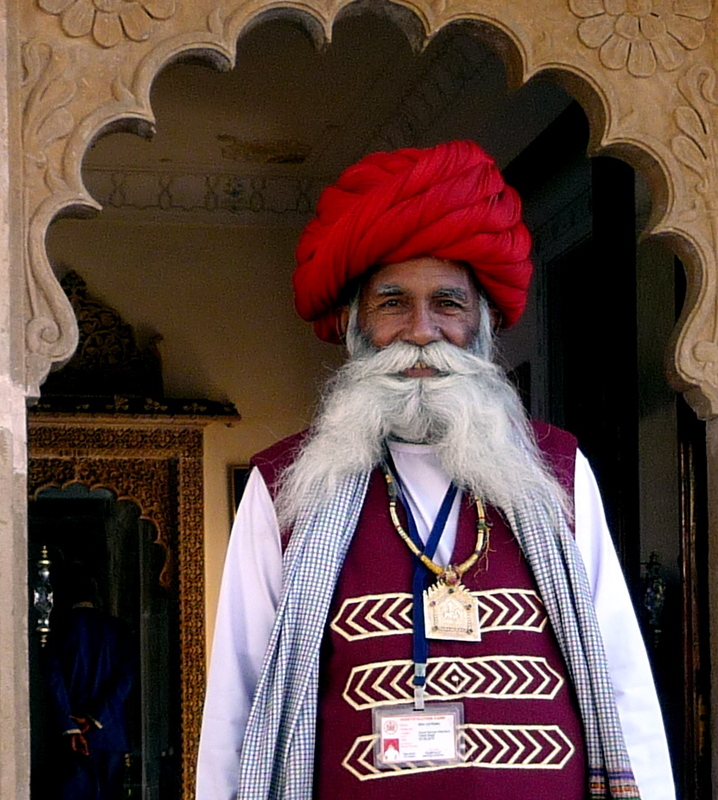 At the entrance to the lodge, Mr. Singh, the 80-year-old turbaned Rajput caretaker I met yesterday, claps his hands to his heart in prayer before smiling through his magnificent white handlebar moustache. “Namaste,” he says, welcoming me before he leads me up a zigzagging narrow staircase, designed two hundred years ago to confuse intruders on their way up to the second floor, and mixing me up even more. 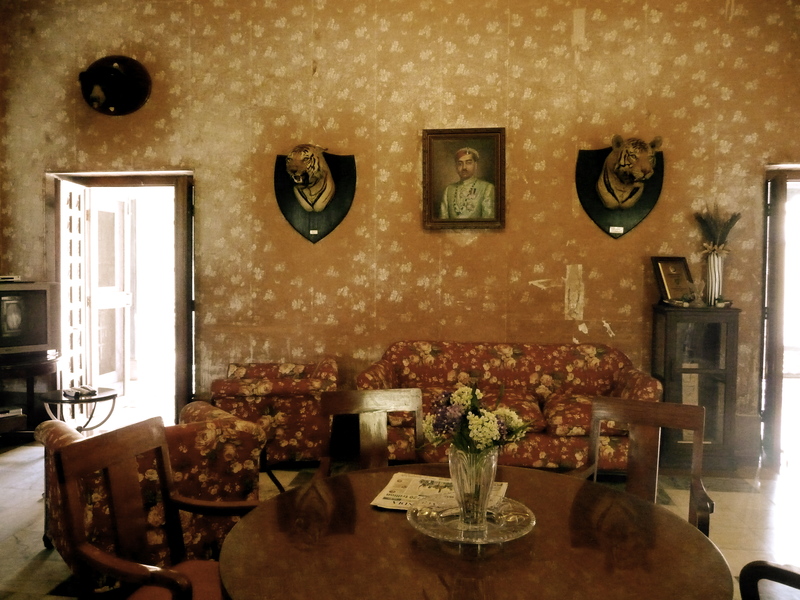 In the Maharajas’ days of glory this lodge would have been surrounded by a hundred trumpeting elephants waiting to take hunters out to the adjacent forest to shoot tigers, Mr. Singh remembers. I like Mr. Singh’s presence. He told me he belongs to the Rajputs, a historically fierce warrior caste; now he’s here to protect me. At the top of the stairs is a small terrace overlooking the environmental reserve. My yoga mat has been neatly placed on the shiny, cool, stone floor facing the forest. I take a deep breath. Fresh, warm breezes, punctuated with the scent of bougainvillea and hibiscus, soothe me. A deep blue sky frames tight green clusters of the Aravalli Mountain Range surrounding Lake Pichola and Udaipur’s famous white marble palace. 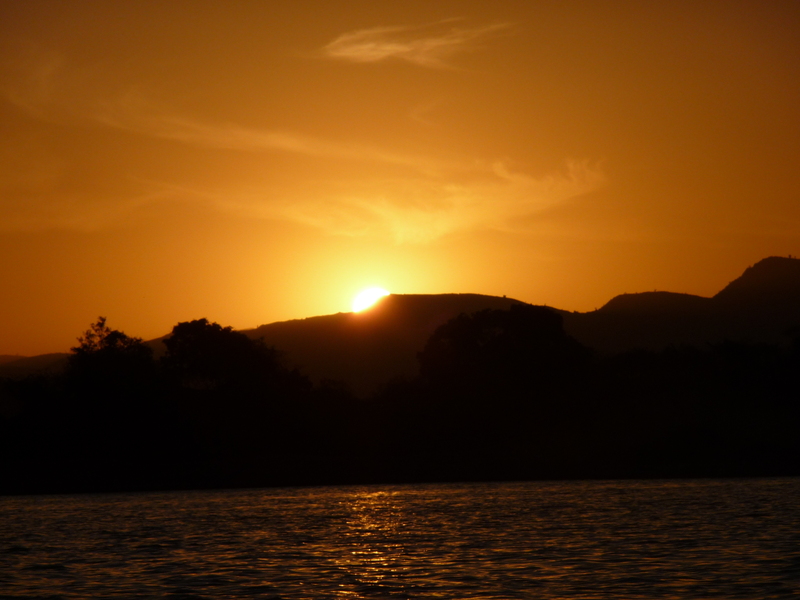 It is late in the afternoon and the day cools as the hot sun begins to sink into the hills. Thank you. I take my place. I stand on the mat. So far so good. Kumar kneels, and nods, affirming that I should do the same. I kneel. My crackly knees break the quiet. I stifle a nervous self-conscious giggle. “Relaxxxxxx. Close your eyes Mrs. Hayes. Ommmmm. Say ommmmm with me,” he says almost too quietly for me to hear but with a definite no nonsense tone. I do my best. I try to keep my eyes shut but I have an urgent need to know what’s happening. Where am I? What’s going on? What do I do now? “Enjooooyyy the practice.” Kumar chants. I make an effort to calm myself. I’m told the position of stillness is yoga’s most difficult. And for me it is impossible. The air, the sweet smell of the park, the sun beginning to settle down behind the hills is background for a strange slow movement of some sort at the edge of the park, behind Kumar. Kumar’s eyes are still closed but mine are wide open now. Something deep within me says, “Be still Nancy. Do not speak. This moment is special for you.” A peculiar beast about the size of a large pig emerges from the bushes and shuffles along the edge of the park. The creature is covered with huge smooth scales, the colour of Rajasthan’s dry earth, shining in the light, from the tip of its long narrow head to the bottom of its elongated fat tail. Then it slowly, surely, disappears into the forest. I am calmed, in awe. What have I seen? I return to my muse, Marco, the model traveller of seven hundred years ago. “Remember this gift and take it with you,” the voice inside me says. Would I have missed the giant pangolin, the giant scaly anteater, a rare sight even in India, had I not been in pursuit of stillness, relaxing and enjoying a quiet yoga practice while I’m here?